Cowboy Hotties: my "everything but the kitchen sink" or "I can't decide" drop cookie. This was another Cookie Crush favorite. To be honest, I created this with my likes in mind. But you can certainly omit, replace, and/or add other ingredients. You can use butterscotch or white chocolate chips. You can add raisins or cranberries. It's really whatever you have hiding in your pantry. In a medium bowl, whisk together the dry ingredients: flour(s), baking soda, baking powder, pecans, toasted coconut and old-fashioned oats, chocolate, and toffee bits. In the bowl of an electric mixer and using the paddle attachment, beat the sugars, butter, and sea salt on medium speed until creamy, about 2 minutes. Beat in one egg at a time. Scrape down the sides of the bowl before each addition. At low speed, beat in the dry ingredients until combined; take care not to over mix. Transfer the dough into a clean bowl, cover with plastic wrap, and chill for at least 30 minutes before scooping. Use a size 40 ice cream scoop <or the Pampered Chef Small Scoop> to portion. Drop the scooped dough onto prepared baking sheets, spacing them at least 1 1/2 inches apart. Slightly flatten the tops using a spoon or the bottom of a glass. Bake the cookies, one sheet at a time, for 10-12 minutes. Cool the cookies on the baking sheet for 5 minutes, then transfer them to a wire rack and cool completely. When I first started Cookie Crush, I knew that I would be shipping cookies to customers. So I needed cookies that would hold its shape. Shortbread cookies were an easy decision. I just needed to decide on flavors and develop recipes. Pecan sandies, Mexican wedding cookies, Russian tea cakes, snowball cookies - they all derive from a basic formula of flour + water + butter + ground nuts... then rolled in confectioners sugar after baking. Easy formula but so over done. I wanted "different." So I tried different combinations: dried fruit and nuts, dried fruit and citrus flavors, nuts and spices, dried fruit and chocolate, floral notes and dried fruit, nuts and chocolate - it went on and on. Then one day this and among others were on the menu. Pre-heat the oven to 300 degrees F. Line baking sheets with parchment paper. Whisk together the dry ingredients: flour(s) and baking soda. In the bowl of an electric mixer, using the paddle attachment, beat the sugar, butter, sea salt, dried orange peel, orange oil (or orange zest, if using), vanilla extract, and water at medium speed until creamy, about 2 minutes. Scrape down the sides of the bowl. At low speed, beat in the dry ingredients and chopped dried cranberries. If dough is crumbly, mix by hand using a wooden spoon until the dough comes together. Cover the bowl with plastic wrap and let dough rest for at least 15 minutes at room temperature before scooping. Use a size 40 ice cream scoop <or the Pampered Chef Small Scoop> to portion. Drop the scooped dough onto prepared baking sheets, spacing them at least 1 inch apart. Flatten the tops with your fingers or the bottom of a glass. Bake the cookies, one sheet at a time, for 20 minutes. Cool the cookies on the baking sheet for 5 minutes, then transfer them to a wire rack to cool completely. Dredge the cool cookies in confectioners sugar. With my background and experience I hope you trust me enough to really consider upgrading your way of baking and cooking. If you have these kitchen essentials already, way to go and more power to ya!! Please invest in a good digital scale! I promise that you will thank me later. There are so many advantages or benefits in using a digital scale and you can read up on them here. The top three reasons why I use a scale: (1) accuracy/consistency, (2) less clean-up (3) not just for baking --> great for portion control when cooking. Most of the recipes that I will be sharing with you are written by weight. Conversion can be done but the end product will not be the same. This is what I currently use and I've had it for nearly 10 years. The brands that I'm familiar with are Salter and Escali. This is the one I used in culinary school and my early business days. It kept falling off the counter or table - yeah, I think it was possessed - and one day it stopped working. RIP great digital scale. If you need more information on which digital scale is best to purchase, then check out this article. Parchment paper is a must-have. They come in different sizes, from full-sheet to 6-inch circles. I've learned in school to start with a full-sheet parchment paper and cut it to the baking pan size that I'll be using, even round baking pans - this wise advice from the chefs at school saved me a lot of money and time when I was running my business. I purchase mine at Cash-n-Carry - a box of full-sheet, 1000 count - roughly $35; on sale, it can run you about $26 (Oregon prices). Yeah, the box eats up quite a bit of space on my shelving unit but it lasts me a very long time. In fact, the one I have now is only a quarter used and I can't remember when I bought it. Of course you can search for it and buy it online - such as this and while on their site you can stock up on baking ingredients! used in a cooking technique known as "en papillote"
Many more reasons can be found here. Pampered Chef offers three sizes: small, medium, and large. In the food industry, portion control products can be found in varying sizes and styles - such as these selection by Vollrath. But these, thumb press type, were what I mainly used in my business long ago. I no longer have them because over time with much use and an occasional fall on the floor or bumping into things or used on hard food products... well, they're now retired. I recently purchased the Small (~1 tablespoon or 0.5 ounce) and Medium (~2 tablespoons or 1 ounce) Scoop from Pampered Chef. They're heavy-duty stainless steel (squeeze handle type) scoops, right- and left-hand friendly, and dishwasher safe. In comes the Manual Food Processor by Pampered Chef. 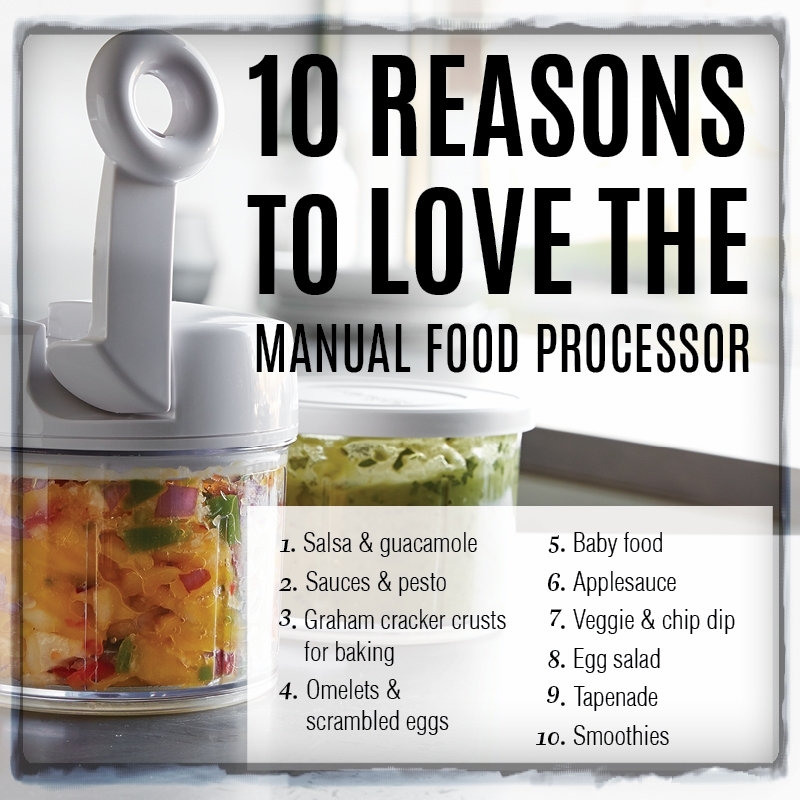 Other than the highlighted 10 reasons, this manual food processor is a perfect size to roughly chop nuts and chocolate. Cooling or Wire racks come in different sizes and styles. I own several sizes and two different styles. I have two half-sheet and two quarter-sheet sized wire racks in a single layer style. And two quarter-sheet sized stackable wire racks from Pampered Chef (pictured below). You can read up on more uses with recipes... here. Here I am composing my first blog and a gun fight is literally happening outside my apartment building, not directly in front but less than a block away. It was nearly 4 am when dogs barking and shooting can be heard. My street and Burnside, the street that separates NW and SW Portland is cordoned off - it's a parking lot of cop cars and first response teams. A helicopter, I'm sure from a news agency, is circling around. Early newsfeeds are saying that the cops are trying to negotiate with the gunman. It's almost 6 am now and I'm sure everyone in a mile or two radius is awake and wanting to know what the heck is going on. So, this is what I get for living in the city - expect anything, I guess. But right outside my doorstep? - um, just a little too close for comfort. I'm glad I parked my car on a different street. I forked out $249 for the above Ultimate Kit - valued over $1000 - go big, or go home! Some of the pieces I already own so I've decided to raffle them off throughout my upcoming events. If you didn't know already, Pampered Chef is a direct sales company that rely on consultants to sell their products through a system or concept known as a party plan that was popularized by Tupperware several decades ago. The company was founded in 1980 by Doris Christopher. When I became a consultant a few years ago, her book The Pampered Chef: The Story of One of America's Most Beloved Companies was included in my kit. It's a good read - with inspiring insights and advice for entrepreneurs and small-business owners. Above was the consultant kit I purchased nearly 4 years ago. I think this was the deluxe kit at the time. As you can see, there are a few repeated items - the Simple Slicer, Microplane Adjustable Coarse Grater, Garlic Press, Measuring Spoons, Mix 'N Scraper, Manual Food Processor, etc. Confession: the three things I'm passionate about are - baking, cooking, and eating. Am I a foodie for loving food and everything about it? Well, I do go to foodie events like Feast Portland. I have eaten at Beast. I have worked in the food industry as a baker and then owned a small business that specialized in cookies and cakes. My hobby is still baking cookies/cakes and decorating cakes for friends and family. And now, I'm a consultant for a company that's known for its kitchen products and operates in three countries: United States, Germany, and Canada. Oh and I do own quite possibly way too many cookbooks. LOL. So again, why Pampered Chef? I love kitchen gadgets! And Pampered Chef products are well made. Absolutely you can find less or as expensive replicas but when you're at a demonstration show and you actually touch the products, observe its quality, use it, and hear about it -- well, I certainly fell in love with many of their gadgets and pieces and still own them to this day just from being invited to and attending a show. I joined Pampered Chef to get free or discounted products, to earn extra money, to hopefully enjoy a free trip, and to interact with people about food - from cooking techniques, to recipe swaps, to suggestions and tips. Please join me in my foodie adventure either at an in-person show, a virtual show, or here on my personal website and blog. You can also follow me on Facebook. 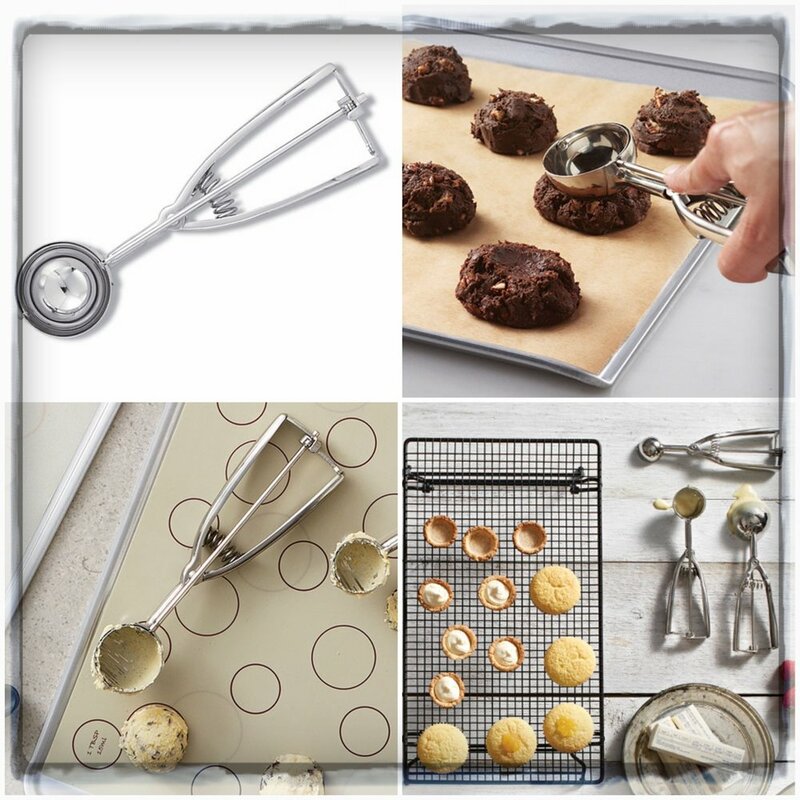 BAKE + COOK + EAT = and have all the FUN that you can handle and then some. Just ENJOY!